Sculpted Elegance Meets Startling Speed. 8.1 Megapixels for stunning prints as large as 16 x 20 inches. 3x Optical Zoom-NIKKOR Glass Lens - Nikkor optics provide exceptional pictures. 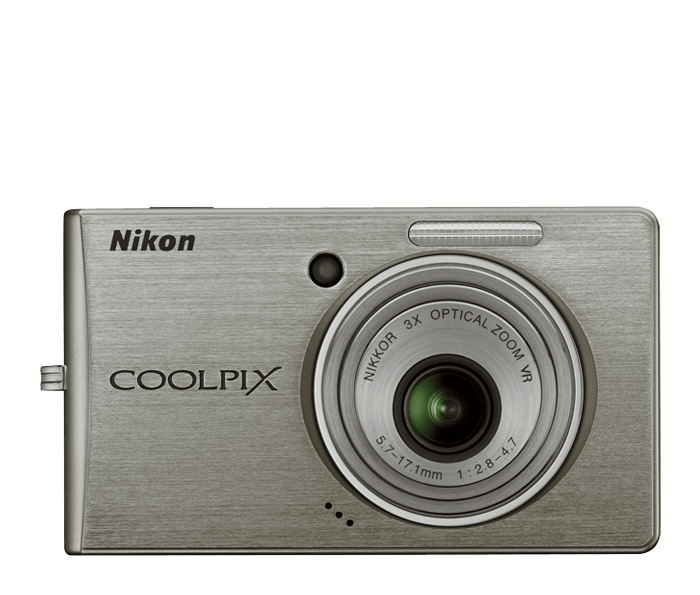 Incredible, Bright 2.5-inch High Resolution LCD makes it easy to compose and share your pictures. Fast Response allows the camera to power-up within 0.7 seconds and shutter delay of only 5ms. Auto Adjusts up to ISO 2000 to let you keep shooting, even in low light. In-camera Red-Eye Fix automatically fixes most instances of red-eye in the camera. You may never see red eyes again.